The three story Lobby Atrium serves as centerpiece of this CCRC; the hub of the campus for over 200 residents. This transitional Interiors’ Renovation created a “hospitality, quality driven” character, conducive to their frequent social events. 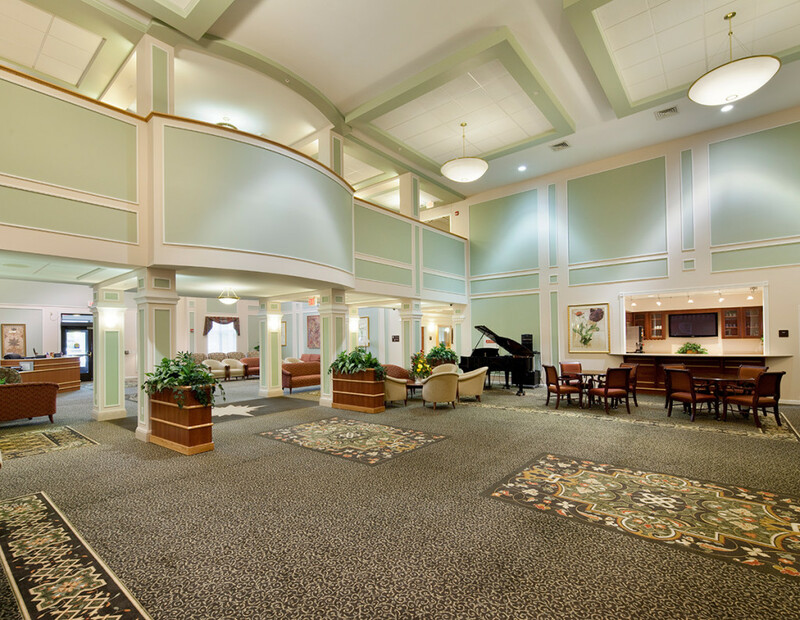 Dramatic enhancements echoed the vibrant Mission of this Moravian community. The main colonnade which leads down to the residential corridors is accented with focal elements such as the “Moravian Star” executed in several carpet colors and textures. 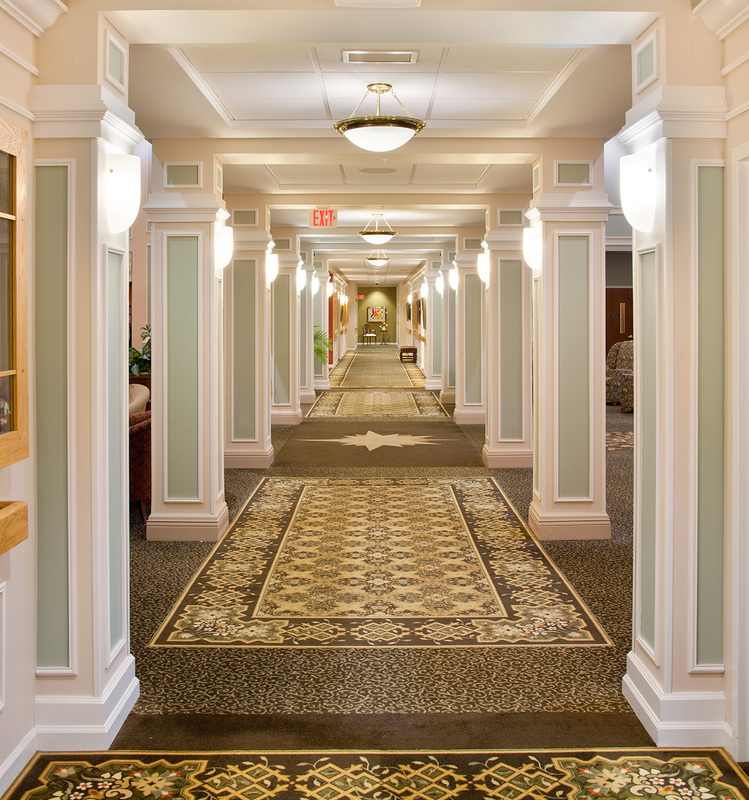 Breaking up the corridors into “area rug” like insets created a residential feeling and an intimate atmosphere with a sense of anchoring the interiors to the surrounding architectural elements. 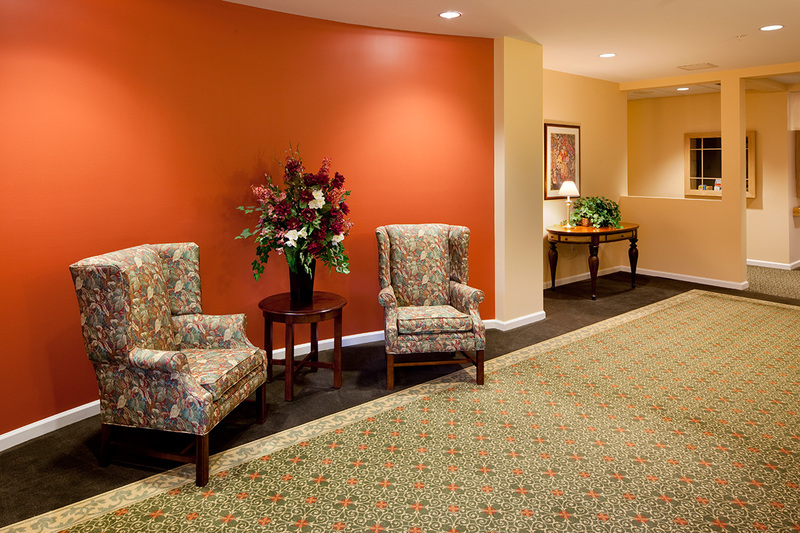 New lighting, multi tonal paint scheme and new resident coffee “Bistro” were all desirable elements that the residents requested. 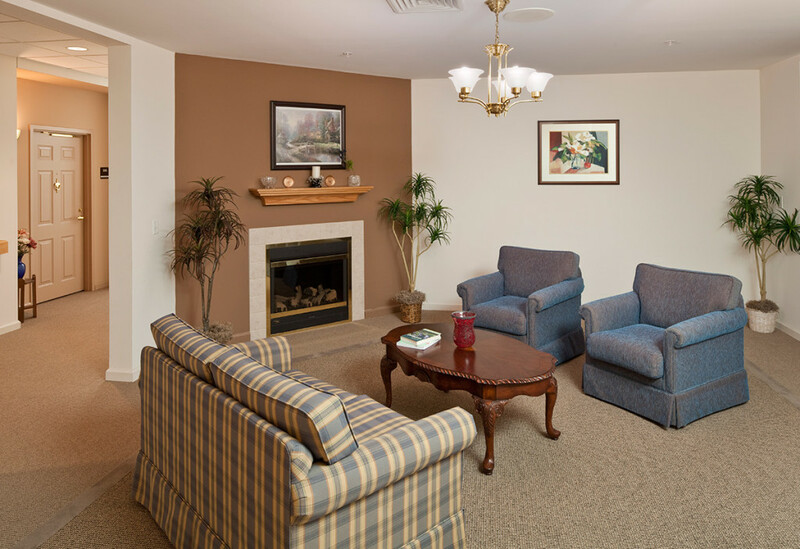 As we listened intently to the residents needs, creative ideas were developed by Contract Environments, Inc. to TRANSLATE their requests a reality.